God's Purpose Over Our Preference For HIS Glory! Membership is open to anyone who has made a profession of faith in Jesus Christ as their Lord and Savior. We recommend that you participate in our “First Steps” introduction to church membership class that is offered periodically throughout the year to help you get better acquainted with our church before or soon after you join. During this time you are invited to come forward and share your desire to join with the pastor. At that time you will unite with our church in one of four ways listed below. He will then introduce you to the church family so that they can rejoice with you and welcome you into the fellowship at the close of the service. 1. By Salvation and Believer’s Baptism: This is for people who are making a first-time commitment to Jesus Christ as their Savior and Lord. 2. By Transferring of Your Membership from Another Southern Baptist Church: This assumes that you have already made a personal commitment to Jesus Christ and have been publicly baptized by immersion according to the teaching of scripture. 3. By Statement of Your Faith in Jesus Christ: This is for people whose prior membership was at a church that isn’t Southern Baptist. In order to join by statement you must have already been baptized by immersion as a testimony of your faith by a church of like faith and order. 4. By Baptism: This is for people who have already made a personal commitment to Christ but have not yet been baptized by immersion in accordance with the teachings of the Bible. 1. Why does our church require people to be baptized to join? Jesus commands his followers to be baptized. As such, it is a matter of obedience and is deeply connected to salvation. 2. Does baptism save? No. In and of itself, baptism has no power to save. People can make a sincere commitment to Christ and be saved without ever being baptized. However, they miss out on the blessing of full obedience to the call of Christ. Our church does not accept baptism from churches that teach that it saves. As such, this is not biblical and is not true believer’s baptism. 3. Why does our church require baptism by immersion? For two reasons. First, the Greek word for baptism used in the original text of the Bible literally means to immerse, dip or plunge under water. Second, only immersion clearly depicts Christ’s death, burial and resurrection. Scripture teaches that baptism bears witness to this as the believer is “buried” in the waters and “rises” again from them. Any other mode of baptism fails to illustrate this, and as such, fails to follow the biblical model. 4. Who can be baptized? The Bible clearly teaches that baptism follows a personal commitment to Jesus Christ. This precludes the baptism of babies, since they are unable to make a conscious choice to follow Christ. 5. How do I schedule my baptism? Baptisms are scheduled as needed on a weekly basis. Visit with the pastor to set a date and to go over the basics of baptism. Why Should You Join a Church? At First Baptist Church, we recognize the need for formal membership. We believe formal membership in a local church is important for four reasons. 1. Biblical reason: Christ is committed to the church. 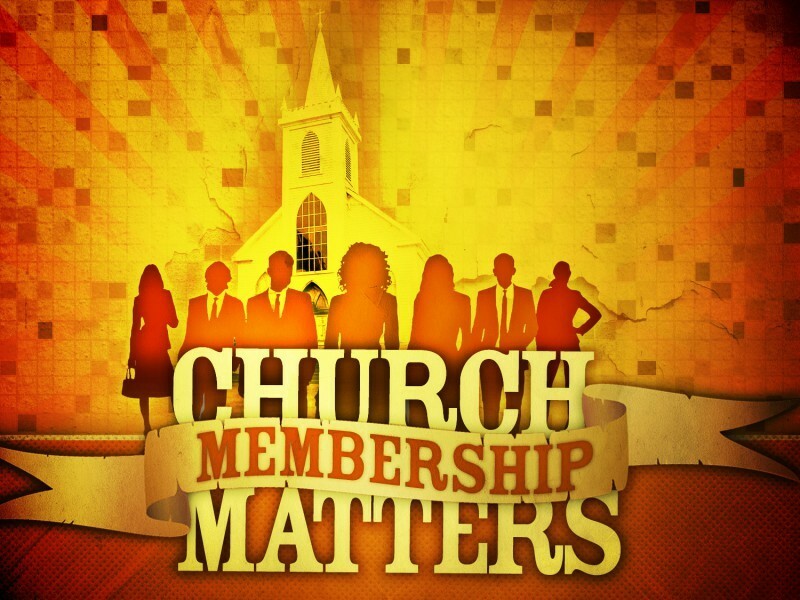 Ephesians 5:25 states, “Christ loved the church, and gave His life for her.” Membership in a local church is an important step in demonstrating our commitment to Christ. 2. Cultural reason: We live in an age where very few want to be committed to anything…a job, a marriage, or family. This attitude has produced a generation of church hoppers and shoppers. Membership swims against the current of America’s consumer mentality and is an antidote to society. Membership sets apart from the culture allowing us to preserve our distinctive Christian beliefs and values. 3. Practical reason: Membership identifies our community and family. It defines who can be entrusted with positions of leadership within the church. 4. 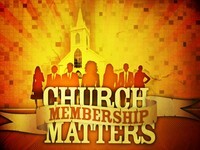 Personal reason: Membership produces spiritual growth. The New Testament places a major emphasis on the need for Christians to be accountable to each other for spiritual growth. A person cannot be accountable when they are not committed to any specific church family. As you visit our church, we pray that you will consider all the responsibilities, benefits and privileges of membership to a local community of believers.